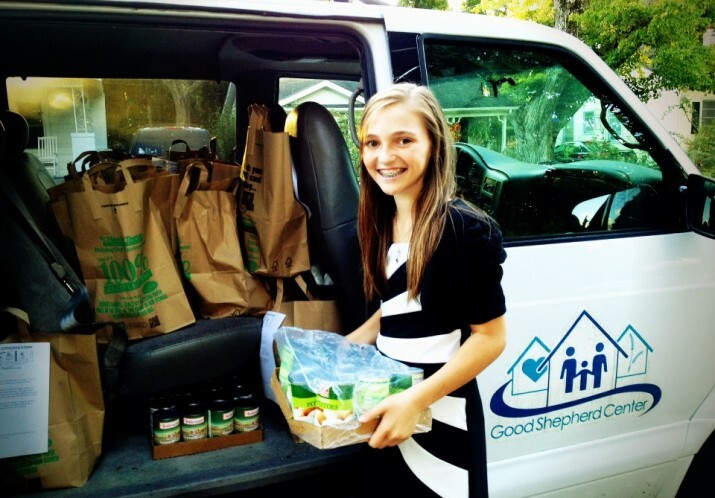 Feeding the Hungry | The mission of Good Shepherd Center is to feed the hungry, shelter the homeless and foster transition to housing. 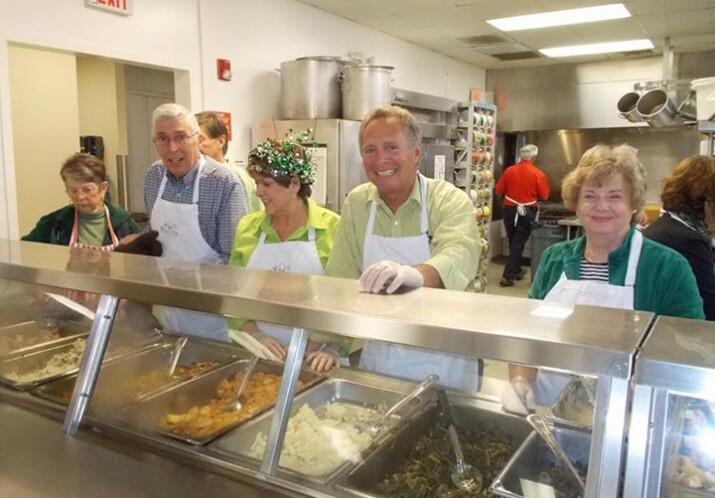 Good Shepherd Center began as a modest Soup Kitchen in 1983, when a group of downtown residents banded together to serve the homeless a lunch of soup and a sandwich. 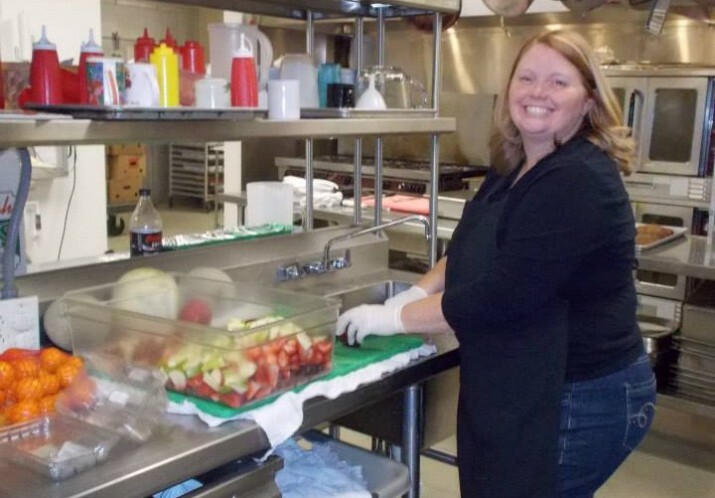 From this small beginning, the program has grown to include a weekday breakfast and lunch available to anyone in need of food, as well as a dinner meal 7 nights a week for guests of the Night Shelter. 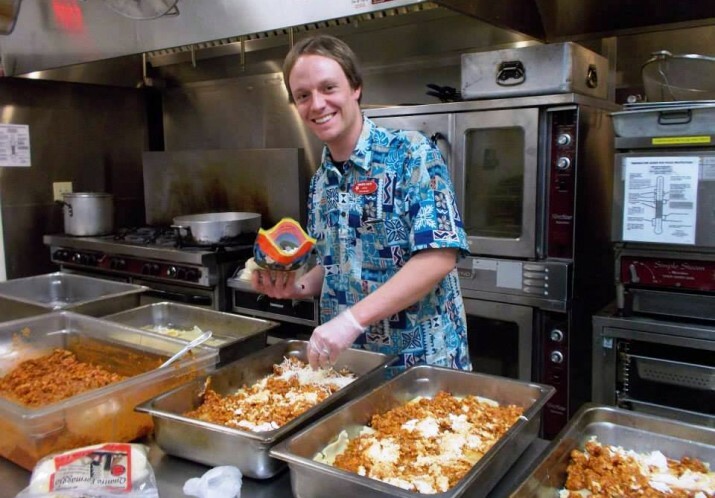 All told, we we served 89,895 hot meals to the hungry last year. Lunch is the largest and most substantial meal of the day. 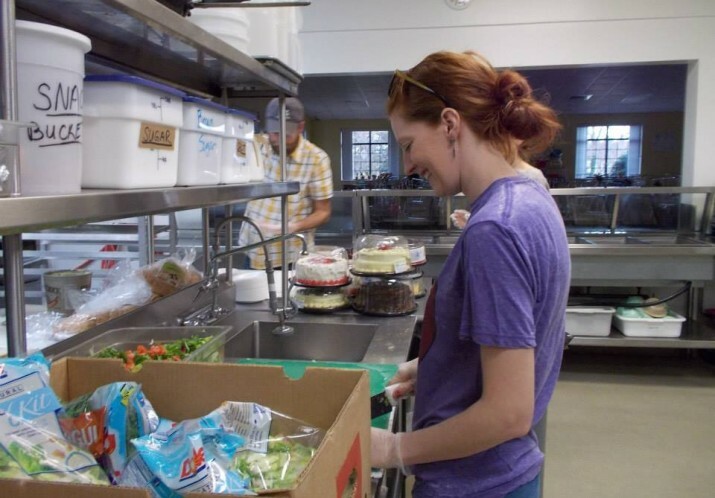 Because our low-income and homeless guests typically have compromised health and limited access to healthy foods, we strive to make our offerings as nutritious as possible. 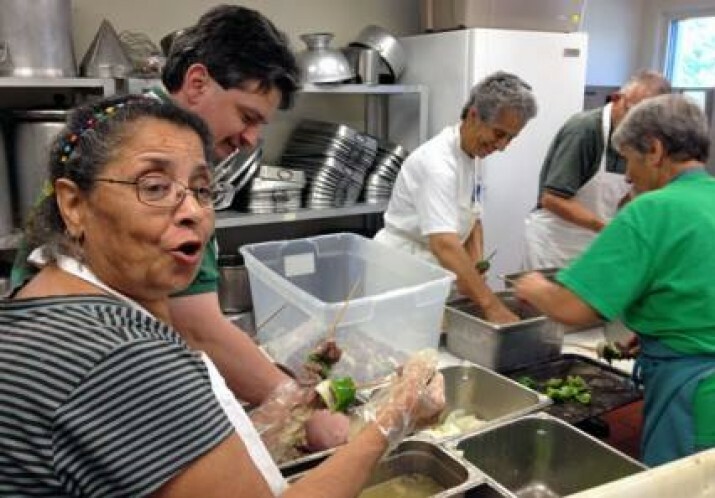 Using donated food, our volunteers prepare a meat, starch, cooked vegetables, and fresh salads for each lunchtime meal. Who has access to the Soup Kitchen? Homeless and low-income individuals, as well as working families who, once they have paid for their rent, utilities, and other expenses, have little or nothing left to put food on the table for their children. A number of mothers come to the Soup Kitchen because they are skipping meals at home to make sure that there is enough for the children—getting a substantial meal here helps them through to the next day. 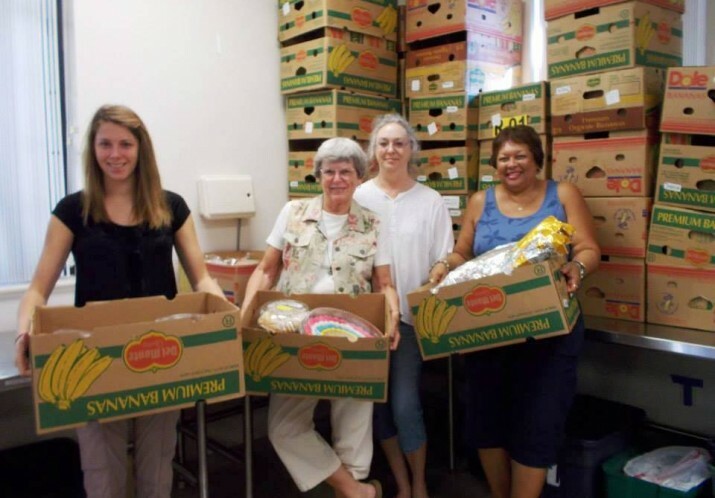 This program’s volunteers collect food from area grocery stores, restaurants and bakeries for distribution to the hungry through the Soup Kitchen and 16 local feeding programs with which we share these donations. Over the course of one year, over 500 tons of food—that would otherwise be thrown away—is salvaged and directed to those in need. 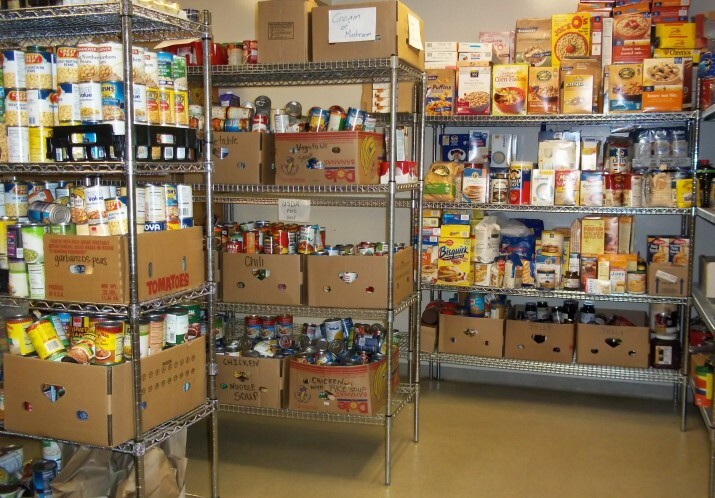 40,000 residents of our area are at risk of hunger and live at or below the poverty line. This is more than 15% of our local population, and includes more than 15,000 children. A child is born into poverty in North Carolina every 30 minutes. “Food insecurity” and hunger rates in our state are significantly higher than the national average. 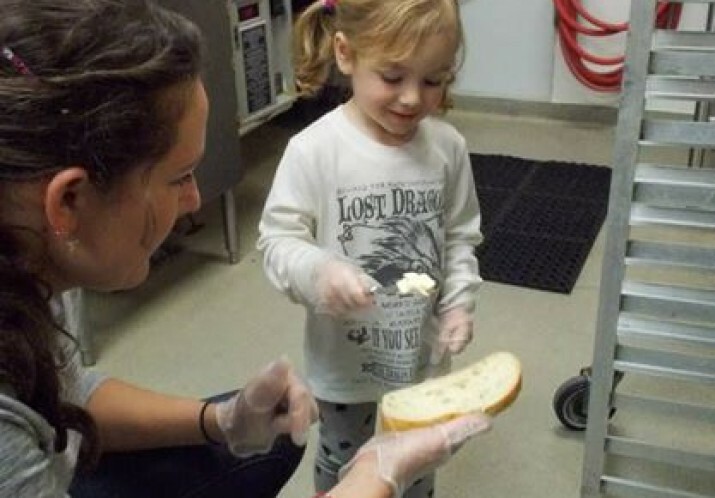 Households with children experience hunger at twice the rate of those without children. Almost 50% of food-insecure households have incomes above 130% of the federal poverty line, leaving them ineligible for Food Stamps. Any degree of hunger leaves children vulnerable to impaired cognitive development and results in lower test scores, more missed days of school, and greater psychological and emotional problems.